When you go to check the mail, are you flooded with credit card offers, catalogs you didn’t sign up for, and other junk mail? Have you ever felt scared to open your mailbox after forgetting to check the mail one day? If any of these sounds like you, then it may be time to finally get your mailbox clutter under control. While clearing your email inbox might be as simple as hitting unsubscribe, dealing with your mailbox can be more challenging. 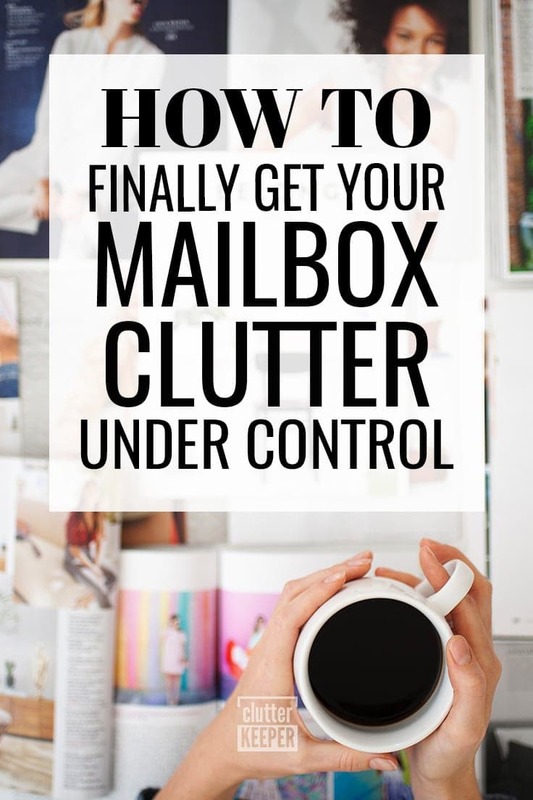 Here is how to finally get your mailbox clutter under control. The first step in taking back your mailbox is to cut off the problem at the source! In order to keep your mailbox from being flooded each day, you need to stop the flow of junk mail. Some of the biggest sources of mailbox clutter are credit card offers. It seems like they arrive weekly. You can opt out of credit card offers by visiting OptOutPrescreen.com. You need to print out an application and send it in, but you will be opted out of these offers for either a five year period or even forever. 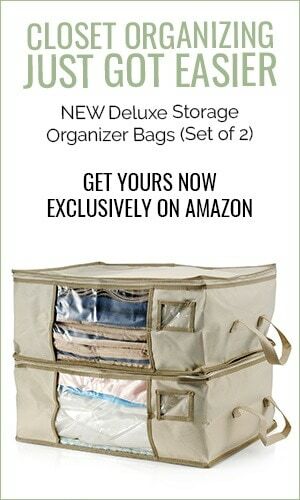 Another source of mailbox clutter are all those catalogs and mailing lists. You can visit DMAchoice to remove your name from mailing lists. This process can take up to 90 days, but for a lifetime of no junk mail is that really so bad? When you get a piece of junk mail, find out who to contact and request that they stop sending them to you. Now that you’ve taken the time to stop the flow of unwanted mail, it’s time to look at how you are going to sort the mail that’s left. You may have realized that your mail is usually categorized into about three or four categories. First, you have bills that come by mail. If you prefer to have your bill reminders by mail that’s totally fine! In fact, sometimes it’s cheaper to do so. Second, you have subscription mail. Subscription mail is mail that you’ve signed up to receive such as magazines, free samples, etc. Decide whether you want to keep receiving them. If not, contact the sender and remove your name from the list. The third is mail from people. This can be birthday cards mailed from distant family members, mail you’ve requested to be sent, etc. These are the best kinds of mail! Lastly, the fourth type is junk mail. You may be wondering why the fourth exists, but despite our best efforts, sometimes junk mail still slips in. Sometimes, you might even receive mail to previous owners of the house you just bought. Once you’ve identified what types of mail you have, you need to create a system to keep your mail organized once it enters your home. You can organize this system in a number of ways, but this way will be the most effective way for you to sort your mail quickly. First, start by creating a bin or drop zone for each type of mail. For junk mail, you can even keep a recycling bin that you can use to drop this type of mail in. Make sure to clearly label each one so that you know where each pile should go. When it’s time to deal with your mail, start by going through your bill bin then move on to your personal mail and subscriptions. Since the last two are less likely to be time sensitive, this is the most logical way to deal with them. 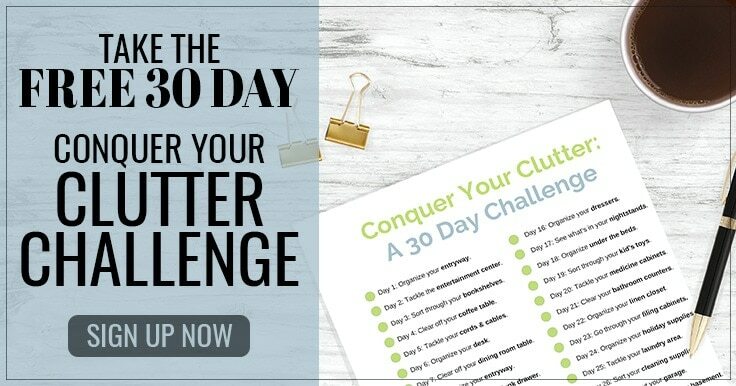 Don’t just let your mail all sit in the mail bin. Try to throw away or recycle every piece of mail within a week of it entering the house so that the piles don’t become unmanageable. Finally, when you travel, make sure and tell the local post office to hold your mail for a full day longer than your trip. This will help your mailbox be a welcoming place. It will also give you a day of rest before you face the mountain of mail waiting for you at the post office. Getting your mailbox clutter under control is no easy task, but if you follow our tips, you’ll be able to finally regain control of your mailbox. Now that you have your mailbox organized, here are some more articles that will help you manage other small areas of your home. 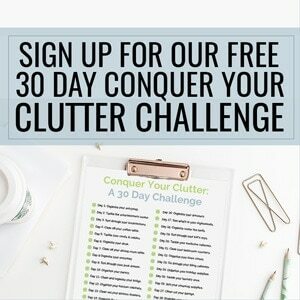 10 Simple Ways to Reduce Paper Clutter – Paper clutter comes from more than just your mailbox. Get all of it under control with these tips. How to Get Rid of Your Junk Drawer – We all have one. But finally learn how to be free of this mess for good. How to Hide Cord Clutter – Electronics are great, but all the cords can get in the way. These genius ideas free you of cord clutter.